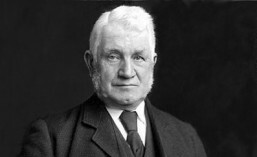 In 1887, whilst engaged with the construction of three of the major works of his career, the Tay Bridge, Forth Bridge and Tower Bridge, William Arrol took the tenancy of Seafield in Ayr. The 45 acre estate was situated on the seafront to the south of Ayr with beautiful views across the Clyde Estuary towards Arran. It was an ideal location for Arrol, providing a retreat from the pollution and noise of Glasgow and yet being within commuting distance from his iron works at Dalmarnock. 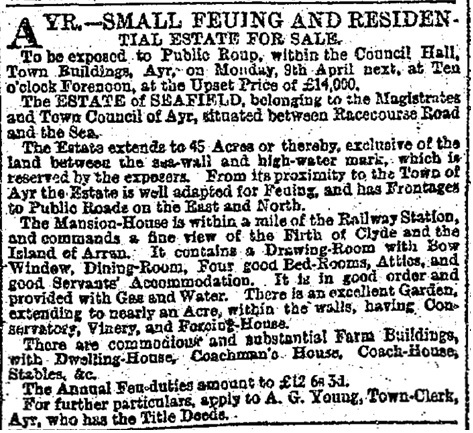 In March 1888 Arrol purchased the property from Ayr Town Council and began work to replace the existing house with a large mansion built to his own specifications. Architects Clarke & Bell of Glasgow were engaged and drew up plans for a magnificent asymmetrical Italianate mansion house with four-storey tower, expansive conservatory and detailing of deeply recessed round-headed windows, Corinthian shafts, a low pyramidal roof and a circular north-west stair turret capped by a wrought iron parapet. 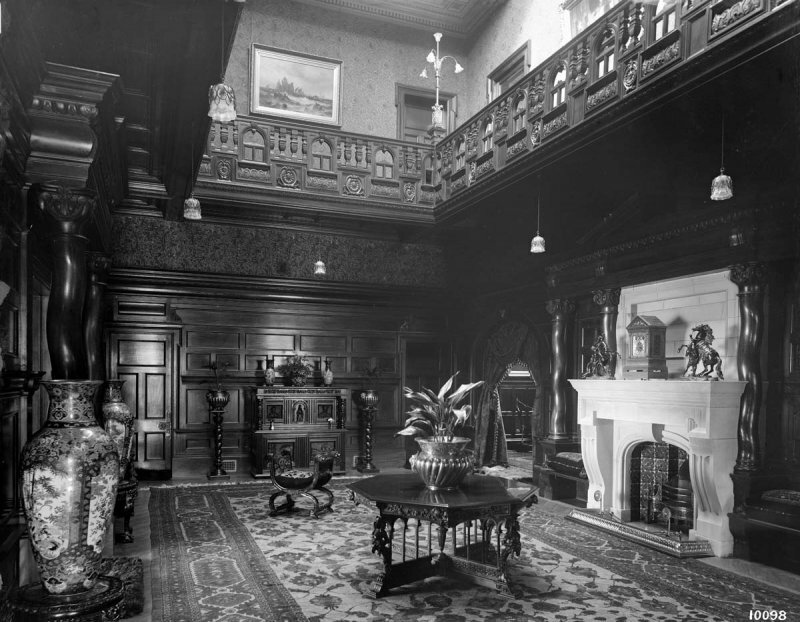 Internally the house was elaborately decorated with wooden panelling and balustrades, fine cornicing, and bespoke stained glass . It was equipped with modern facilities, including a system for heating seawater to provide curative saline baths. The build cost was over £8000. The house was designed to provide a restful retreat from work where Arrol could enjoy his leisure activities of literature, music and art. It had an extensive library and the large panelled hall had excellent acoustics for musical performances. Although live performances were enjoyed at the house, Arrol also installed a gramophone, state-of-the-art technology for listening to musical recordings whenever the mood took him. Also, as keen art collector with a particular fondness for Scottish landscapes, Arrol filled the rooms and hallways of Seafield House with his collection of almost 300 paintings and etchings. 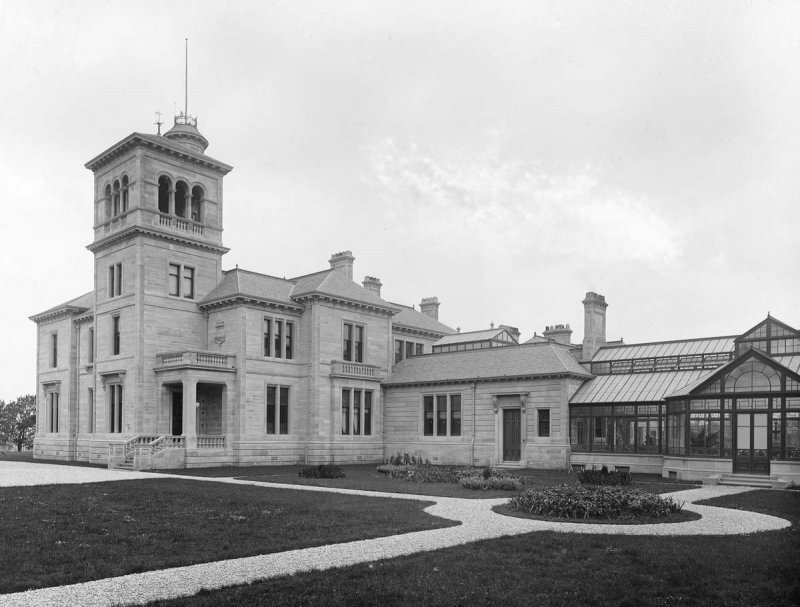 Sir William Arrol continued to live at Seafield House until his death in 1913. During WW1 the house was used as a Red Cross hospital and then in 1921 it was opened as a maternity and childrens’ hospital. Over the years it’s use evolved until it became Seafield Sick Children’s Hospital between 1944 – 1991 and then it was briefly used as the Health Board Headquarters. It lay empty for many years and in 2008 the roof and much of the interior was destroyed by fire. The house now lies neglected and with it’s future at serious risk, Friends of Seafield House was set up in October 2012 to try to save the house. Further information on the campaign can be found on the Friends of Seafield House website.